It doesn’t matter which diet—maybe you crushed Whole30, went #glutenfree and #dairyfree, or for some reason eat nothing but cabbage soup now. But if you really want to do your body, mind, and health some good (and cut through the noise to the one essential piece of advice that matters) then make the ultimate diet change right now: Stop eating ultra-processed foods. What’s the difference between processed and ultra-processed foods? The first forms of food transformation date back millions of years, to when cavemen cooked with fire and used stone tools to pound hard-to-digest roots and nuts. These simple-yet-effective methods improved diet quality by increasing energy and nutrient availability to the body, thus aiding in brain development and the evolution of primates into the “intelligent” Homo sapiens we are today. Naturally, the act of food processing has also considerably evolved and accelerated… but in this case, in a completely unnatural way. Over the last 50 years, the modern Western world has taken food technology to the extreme by manufacturing and selling ultra-processed foods in mass (think: frozen dinners, Pizza Rolls, pastries with filling designed to survive a nuclear attack). There are plenty of reasons ultra-processed foods have taken over the Western world. For starters, they’re convenient; microwaving frozen lasagna for three minutes is inarguably easier than going to Whole Foods and making meat sauce from scratch. They’re also budget-friendly, costing about half as much per calorie as minimally processed foods; you can purchase a fast-food taco for less than a pack of Wrigley’s. And if you’ve ever found yourself at the bottom of a bag of Cool Ranch Doritos (just me? ), then you also know these chemically processed packaged products are damn delicious. But calling these products “food” is pretty misleading: “Ultra-processed products may resemble natural foods, but they’re an entirely different creation that focus on profit rather than nutrition,” explains Dr. David Ludwig, endocrinologist at Boston’s Children’s Hospital and author of Always Hungry?. Simply put, ultra-processed foods aren’t nourishing your body — they’re destroying it. To break it down (and scare you away from the ice cream tub) even further, ultra-processed foods are lacking three major nutritional properties that us humans need to survive. Most problematically, they’re void of soluble and insoluble fiber, because fiber can’t be frozen. Dietary fiber forms lattice work on the upper intestine to inhibit absorption of nutrients, so your body feeds off its own good bacteria; thus, balancing out bad bacteria, improving your metabolic health, and reducing liver fat accumulation. Lab-created foods also lack micronutrients like antioxidants and vitamins, along with omega-3 fatty acids. Omega-3s stabilize those fragile neuronal membranes that prevent you from developing dementia and early onset Alzheimer’s, and are found in flax and wild salmon — no, frozen salmon dinners don’t count! Those farm-raised fishies fed on corn instead of the natural algae that makes omega-3s, so they don’t contain the same levels of the essential fat. “You might as well eat a steak,” Dr. Lustig says. It’s not just a lack of important nutrients that makes ultra-processed products so bad for you; they also contain dangerous ingredients that can cause serious health issues. For starters, 74% of products in the grocery store have way too much sugar; fructose may play a role in causing fatty liver disease, heart disease, type-2 diabetes, and tooth decay; it’s a marker for obesity, and even correlates with cancer and dementia. They also contain too much salt; humans only need 2.3g of salt as a daily MAX, yet most of us are consuming 6.9g, which can lead to high blood pressure and kidney issues. Then there are branched-chain amino acids, which are required for building muscle, but consuming them in excess causes fat buildup in the liver — so say hello to heart disease and diabetes. Overloading on omega-6 triggers inflammation and cell damage, while additives (like red dye) turn into chemicals in your stomach. Too many nitrates (found in sausage, bacon, and ballpark franks) can lead to colon cancer. Plus, all those emulsifiers, which are essentially detergents that prevent fat and water from separating… um, last time I checked, swallowing detergent is a one-way ticket to the poison control center. With over 7.5 billion people on Earth and counting, some industrial food methods are still necessary; for instance, using technology to keep California berries fresh during transit to Massachusetts. Such “processing” should be all about protecting the natural quality of the food, instead of pumping it with chemicals. 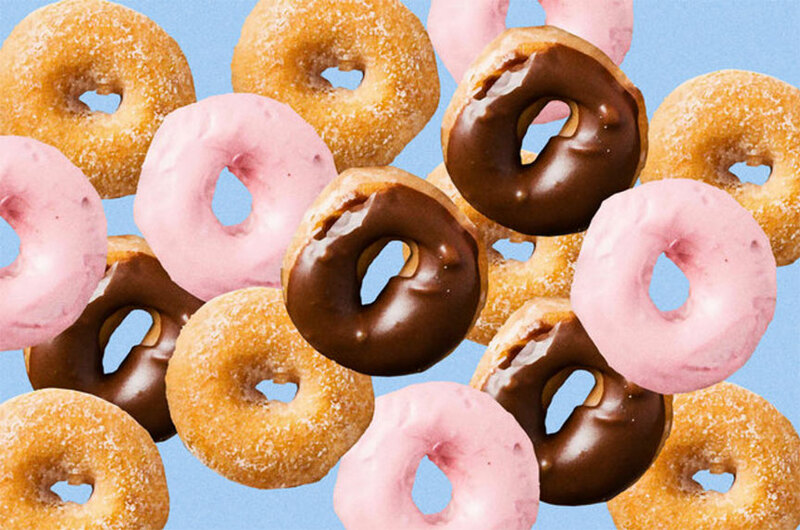 As consumers and living, breathing humans who need food for fuel, it’s up to us to trash the sugar-, fat-, and salt-packed convenience foods and make better choices. Shop mostly the outside aisles at the grocery store where the fresh produce lives; learn to cook so you know exactly what’s going into your food; choose restaurants that prepare their meals from scratch. For your health’s sake, it’s time to cut the crap. Brooke Sager is a contributing writer for Thrillist who vows to (probably) never eat frozen lasagna again. Give her a follow on Instagram and Twitter @HIHEELZbrooke.